Lucky Orange is a tool that quickly see who is on site and interact with them in many ways, chat with visitors on site, actually watch their mouse move around the screen and click in real time, play them back as recording, generate beautiful heat maps of clicks, mouse movements (eye tracking), and scroll depth, create quick insightful polls, and more. I very recently started my own page for Suzy's Mentees, for all of my mentees and this has been very helpful for reaching out to new students, and give them immediate advice online, if they cannot meet me in person. This has also helped me grow and reach a bigger audience, and keep track of my progress. The Heatmaps are very efficient as well, which is great. Not much to dislike, really. The number of sites allowed for small business pricing structure can be increased, but the overall implementation of this is so good, that I believe it is worth it. They have excellent customer care, and I'd recommend everyone with a business portfolio to check it out. Primarily to manage my page Suzy's Mentees and keep track of the logistics of the page. I have found this very helpful in reaching out to more people and just have easy data analytics means. "Lots of data at a good price"
Unlike competitors, Lucky Orange offers the ability to segment and filter the heatmap data. This allows us to drill down and find conversion optimization opportunities. Unfortunately, historical data is limited. To see information further back you need to pay more for increased storage. They provide more data so it's obviously a burden to store it all - it makes sense that they'd charge for this feature. It's just tough to reconcile if you don't know how to use the historical data. Play around with the heatmaps. They're interactive, so there's a learning curve associated with them. Be patient and get your hands dirty a couple times - your comfort level will increase and you'll see the value. We're performing conversion optimization by analyzing the qualitative data provided by LuckyOrange. We're also able to identify repeat visitors by IP address, which helps us visualize the conversion flow. "Lucky Orange is 'ok' but definitely not the best"
I like its use of heatmaps and page recordings to collect real time user experience. It's recording dash also shows attribution per user: source including landing pages, location, browser. The site dashboard feature is lacking when compared to other programs in the market. My biggest critique is that it lacks data storage. Our plan currently includes only 30days of data storage. This also means that I can only compare and share data for the past 30 days and cannot compare Year over Year or Month to Month. Its a smart, easy to use, inexpensive program for collecting session replays and recordings. If that is your need, then this is a fine product to get that done and to inform your optimization, design, and testing process. I do not rely on this program for data or reports. Our main use of Lucky Orange is for session recordings and heatmaps to help optimize your website and landing pages. Thanks for the feedback and we are glad to hear you feel the tools and price-point provide a service that is helpful in your daily activity. We would love to speak more about different options available to store data longer and look forward to connecting soon! "Recording Site Visits is a Great Way to Track Conversions"
Lucky Orange offers a wide range of options in its platform including heat maps, recorded sessions, and chat. 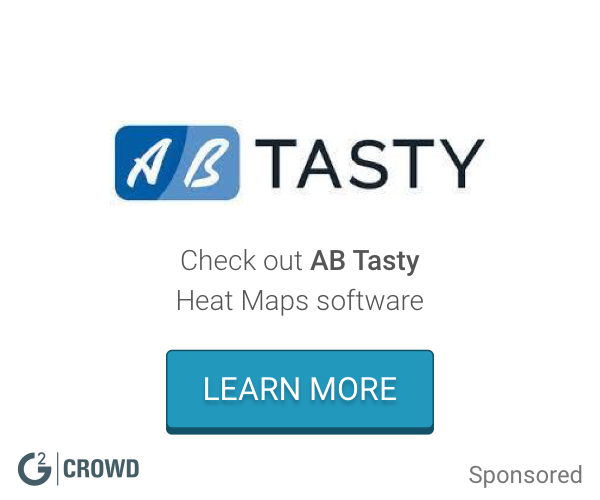 The heat maps are very useful and are done in an interactive way that allows users to navigate the website and see where people have clicked most frequently. Lucky Orange doesn't provide long periods of tracking data without paying for it separately. The one-year subscription for data storage is fairly expensive (especially when, under normal circumstances, I wouldn't need to keep the data very long. If I want to be able to go back in time, though, the storage addition is required. Lucky Orange has a lot of options. Be sure to only enable those that you need when you are building out the system. We didn't need chat, for example, so we disabled it. We use Lucky Orange for heatmaps and recorded sessions. It has a very easy setup process and has an excellent services. I love the smooth integration with HubSpot and flexible reporting features. It is easy to manage tags and keep track of the notifications. It also has a very affordable price. The custom fields are not very straightforward to deal with. Sometimes, loading takes a lot of time as well. Absolutely recommend checking this solution out for weekly or monthly reporting. I have used it to keep track of sales, manage editorial content, and record new design features. It is a very simplistic software which works well in most of the aspects for me. Lucky Orange is easy to use. The interface is simple, and the information you can glean is amazing. From the heat maps to the live status to the chat - all of it amazing. - Add their tracking inside our system as it reveals to much info about the user. - Block our internal IP addresses from within their portal. We are able to see what visitors do, and make decisions based on where they click. Additionally, we can see if they click thru to our end goal - a signup. I'm a huge fan of the heat maps and they also have a report to show how many people scroll down the pages. They also show you the most clicked on links on each page. You get very limited amount of big data to work with. You can watch individual screen recordings but to make informed decisions you need larger samples. Its a relatively cheap software that is a benefit to any business big or small. If you're not sure I would get it for a month. I don't use the tool everyday but I always end up benefiting from it. On-Page optimization is a breeze with this software. You see what they are clicking on and how users are interacting with the page. I am able to take what I learn on Lucky Orange and make edits to my page. "Lucky Orange is better than any statistical tool you will ever use"
seeing how people use the platform is amazing. "The best website for finding out what your visitors arent converting"
The tool was easy to use. It shows you search queries that triggered a visit to your site with the corresponding search engine. So if I was unable to see the search query in Google Analytics, LuckyOrange would show me the term. We were unable to generate a full heatmap report many times. It would crash often. Furthermore it would take ages to get a report. We want to see what elements on our pages users are interacting with. * We monitor all Lucky Orange reviews to prevent fraudulent reviews and keep review quality high. We do not post reviews by company employees or direct competitors. Validated reviews require the user to submit a screenshot of the product containing their user ID, in order to verify a user is an actual user of the product. Hi there! 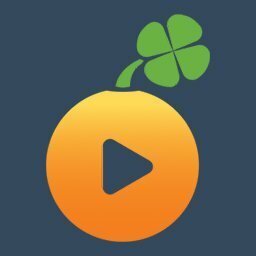 Are you looking to implement a solution like Lucky Orange?